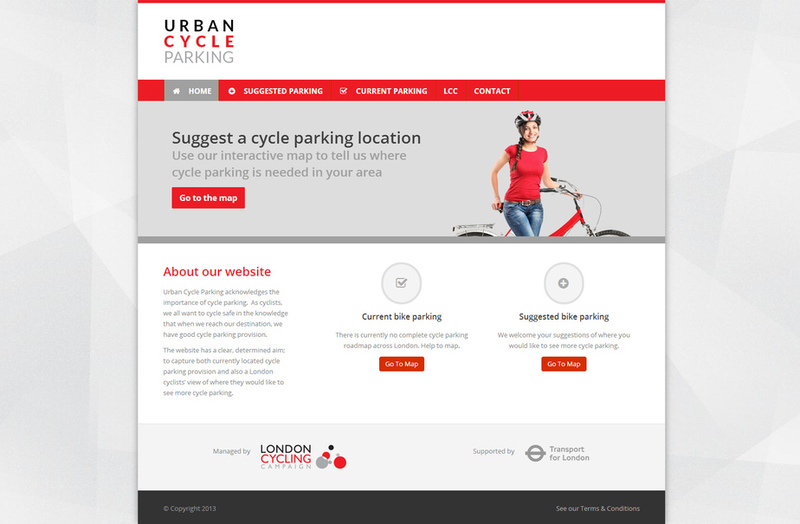 We were really pleased to work on a website design for the London Cycling Campaign (LCC) and Transport for London (TfL) on this high-profile project called Urban Cycle Parking. 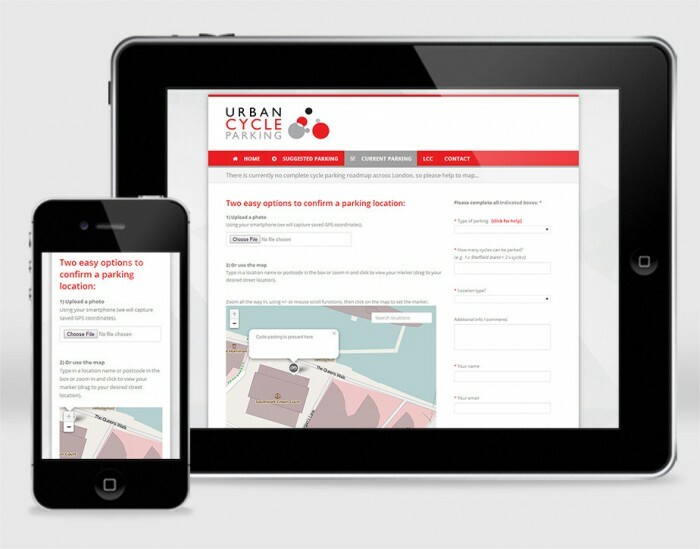 The website relies on crowdsourcing to provide information on existing cycle parking in London (especially where it’s not been provided by a local authority), as well as asking cyclists where parking needs to be provided (whether on public or private land). Users can also submit their own observations, photographs and read responses from TfL. 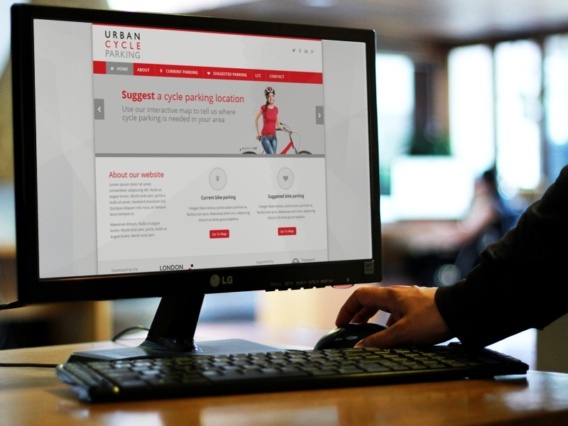 Primary Image was commissioned to design a concept for the front-end of the website and then take this concept through to a fully-functional responsive design for the Urban Cycle Parking project. Due to the nature of the website, it was particularly important to consider smartphones and tablet devices from the very beginning to give users an easy-to-use experience whatever platform they choose to use. Another key consideration was the colour scheme and the website features the bold colours of the London Cycling Campaign’s branding, with Primary Image asked to help with the corporate identity and create a new logo for the Urban Cycle Parking website. The main panel on the home page includes an animated effect to attract the attention of visitors and provide a quick intro to what the website is about, whilst other subtle animated and design features are included throughout the website design. We also designed all the contact forms, as well doing some Photoshop work to create various images and icons for Urban Cycle Parking. Primary Image worked with the LCC’s chosen back-end developers (to link with the mapping database functionality) to deliver this web design project seamlessly, on-time and on-budget. The website was launched for public testing in spring 2014 and features lots of little enhancements to make the user experience as easy as possible, such as using the GPS coordinates of a user’s device to automatically position the map to their desired location. Test it out via the link above! We were very pleased that the London Cycling Campaign and Transport for London chose to work with Primary Image to deliver this high-profile project. 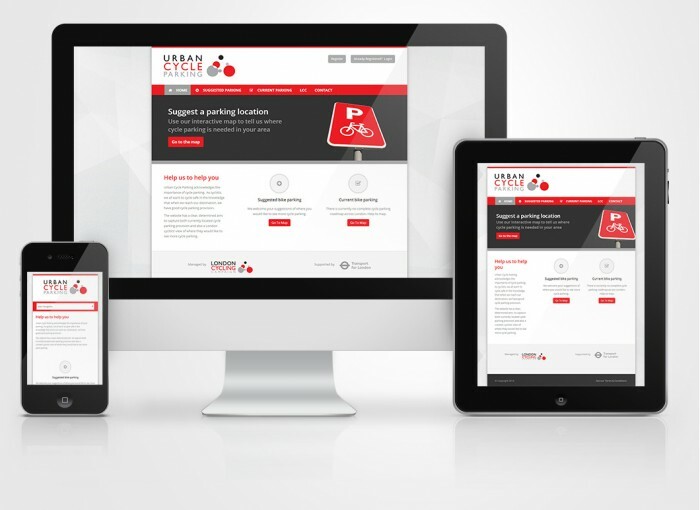 As this website is going to be used by thousands of Londoners on the move, it was especially important that we delivered a website that is compatible with smartphones and tablet devices, as well as being fast-loading on mobile connections. We’re looking forward to watching this new website grow and we know it’s going to provide a really useful service to thousands of people living and working in the capital city. [We were] impressed on both the end output and a very high level of customer care. Thank you. Keep up the great work! If you’re interested in web design for your project, please do get in touch with one of our expert web designers!